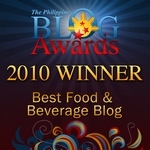 Lagal[og] says: I appreciate well-plated food but I’d take great taste over pomposity any day. That’s not to say the food at The Coffee Library is not well-presented, far from it. Ordering even just a cup of coffee, the presentation is spot-on, the coffee press, milk container, and cup resting on a wooden tray. The Kapangan coffee is a steal at P60. The nutty java is a literal taste of the highlands, the hand-ground and slow roasted masterpiece of the people of Kapangan, Benguet. If it adds to your coffee pleasure, it feels good to enjoy a cup of really good java and at the same time, help support the people who grow and roast the Robusta beans sans modern machinery. 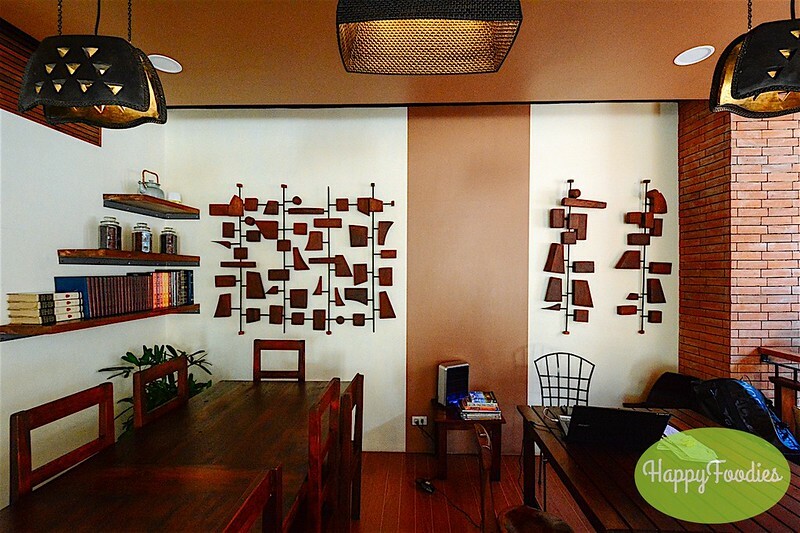 Ironwulf says: I got fascinated with the Coffee Library Vietnamese offering, the Ca Phe Sua (Milk Coffee) at P60. 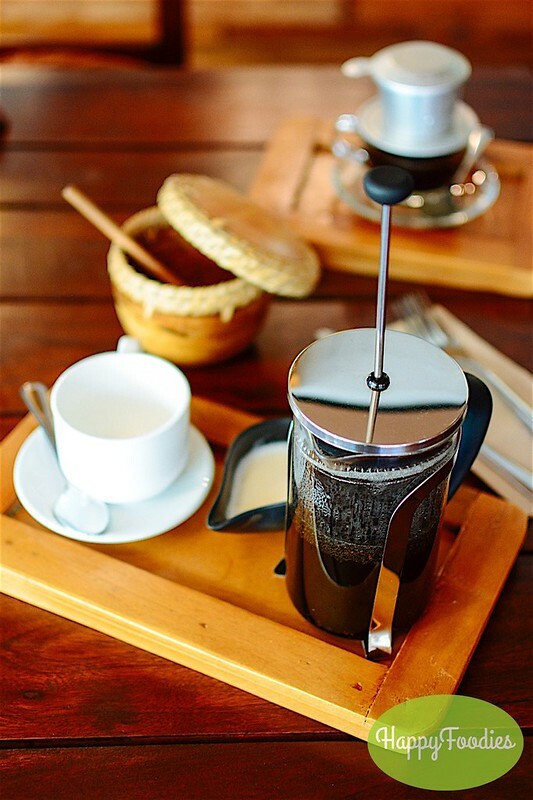 It’s traditional Vietnamese coffee with condensed milk complete with a small metal French drip. 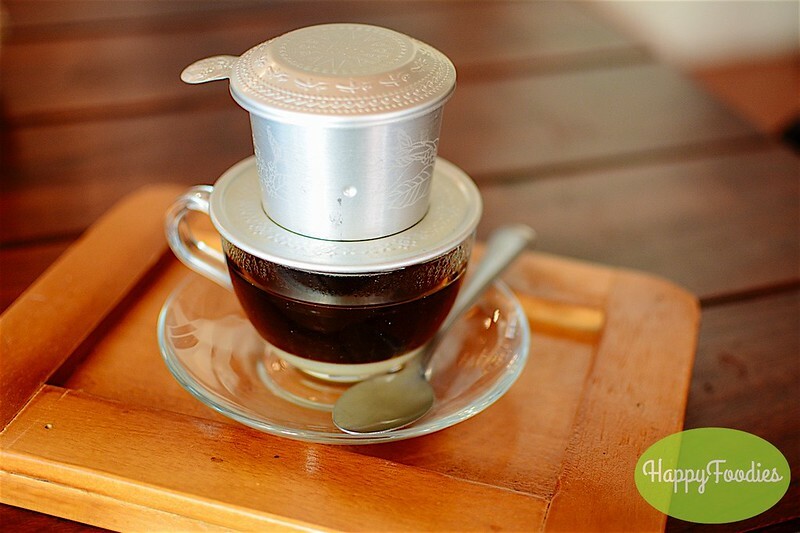 With beans sourced from Hanoi, it has no doubt the Vietnamese coffee flavor that I love, dark yet sweet. 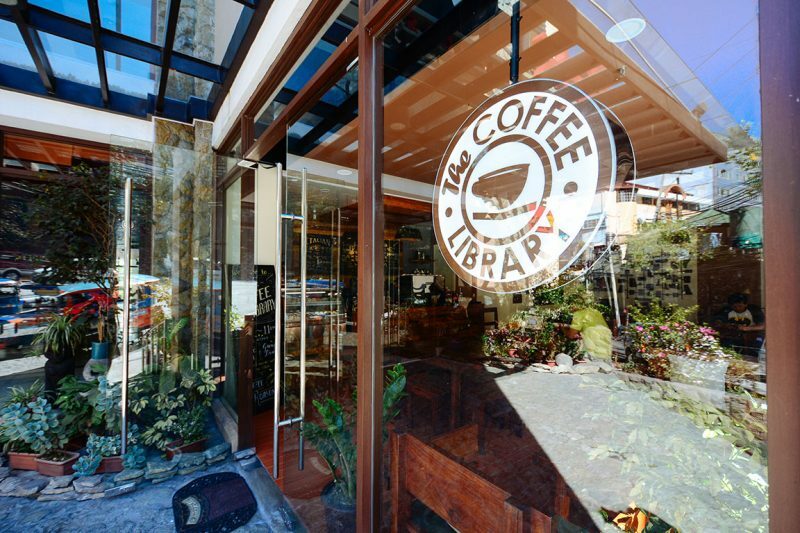 At the moment, The Coffee Library has the Benguet and Vietnamese varieties but they are now in the process of sourcing different coffee from other places like Laos, Cambodia and Turkey. 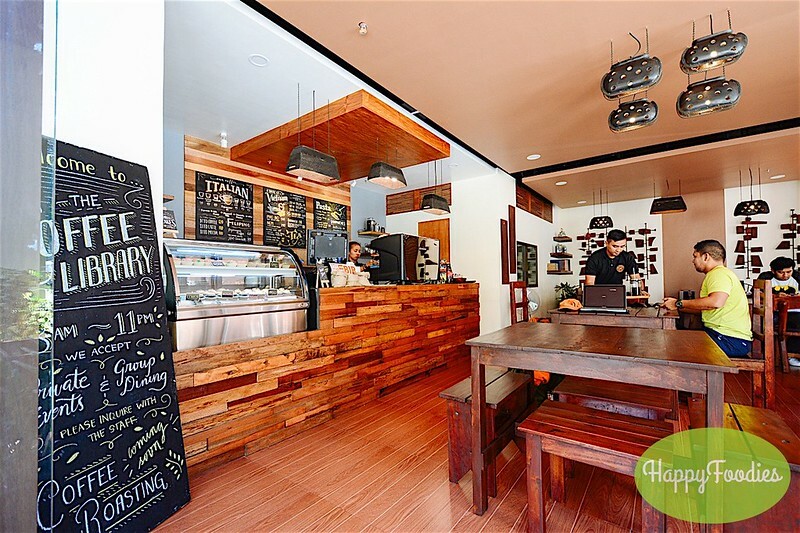 By then, this cafe would literally be a library of coffee. 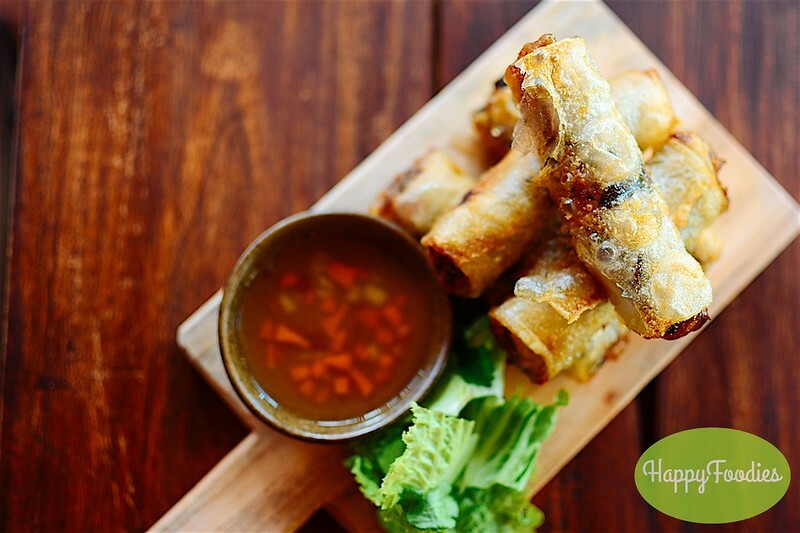 Lagal[og] says: I’ve always yearned for a taste of the spring rolls we had so many years back in the northern highlands of Vietnam and was wondering if the ones offered here in The Coffee Library can perhaps, bring back even just a little of that. It did, each and every wonderful morsel of the Nem’s (P140) crispy rice wrappers filled with ground pork, Shiitake mushroom, glass noodles, and spices bursting with texture and flavor, even sans the sweet-sour dipping sauce. 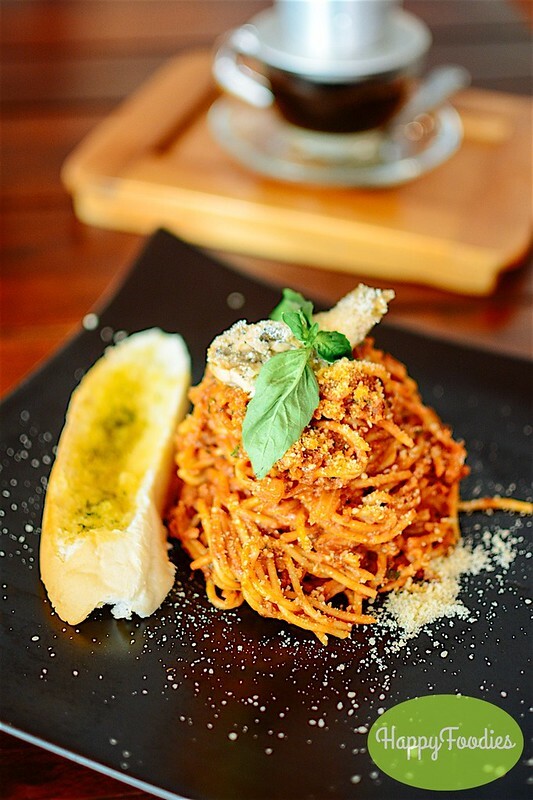 For the main course, I opted for the Spanish sardines and basil pasta with tomato sauce (P120). 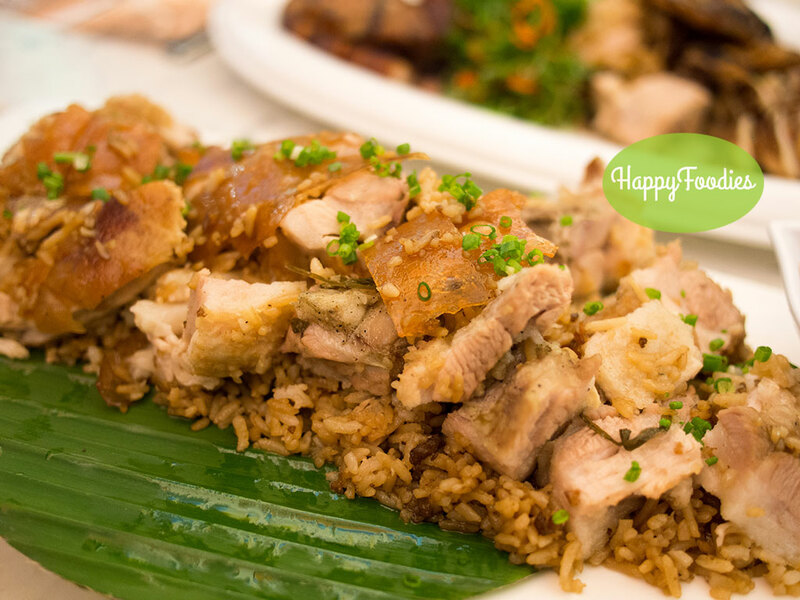 The serving was sizeable (good enough for two) and from the first forkful, it was obvious the chef didn’t spare ingredients to lend the dish its delightful medley of subtle and not-so-subtle flavors. Ironwulf says: The nippy weather left me craving for something hot and flavorful so I ordered their Pho Bo (Vietnamese Beef Noodle Soup) at P130. Surprised by the hefty serving of this one but was looking for more of the sidings of bean sprouts and cilantro to mix but only found a few pieces of chili and lime instead. 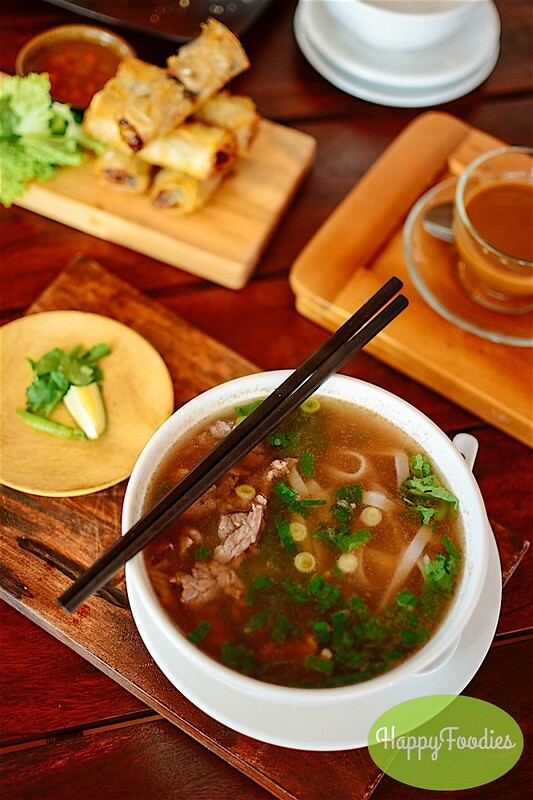 Good thing though, the broth has the familiar quintessential flavor of this Vietnamese classic which I love. The chunks of beef were really tender and in copious amounts hiding underneath the noodles. 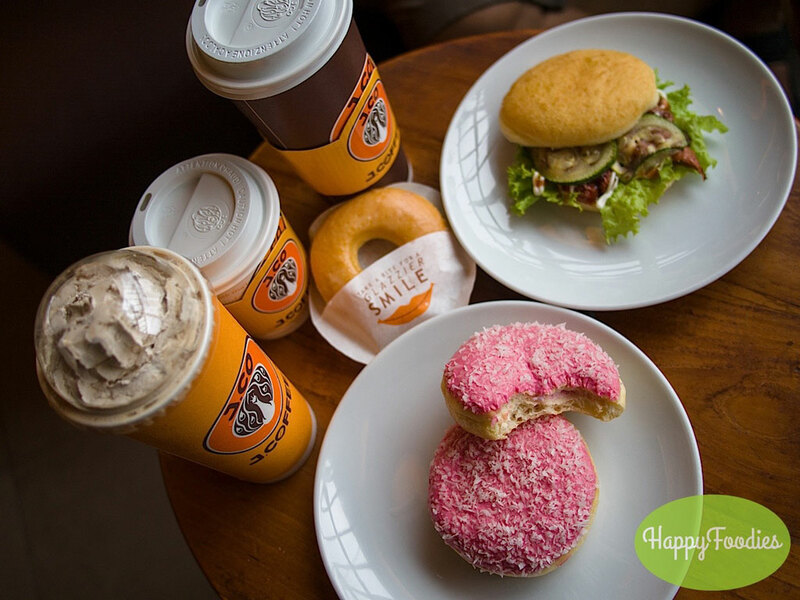 It was a soothing, warm treat for a cold afternoon. Lagal[og] says: By chance, owner Stephen Zarate, was around when we dropped by. 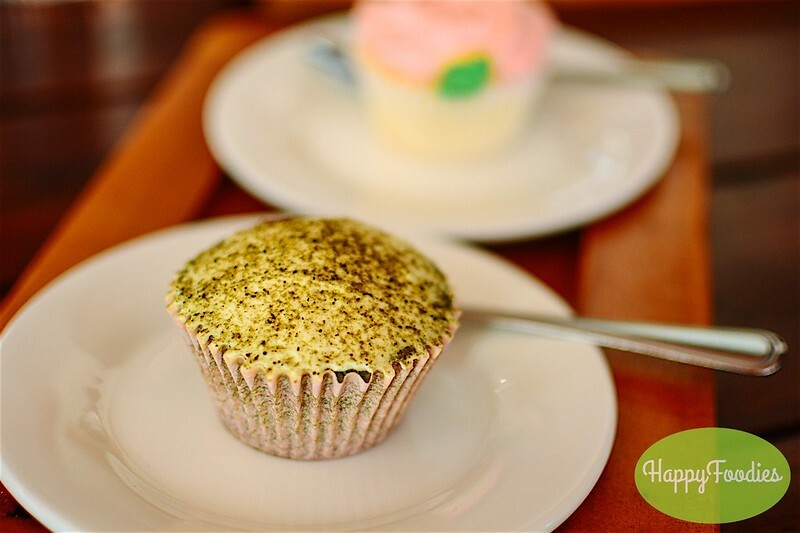 He probably read our minds and had us taste the Green Tea (P55) and Tequila Rose Cupcakes (P65) to go with our wonderful cups of java. 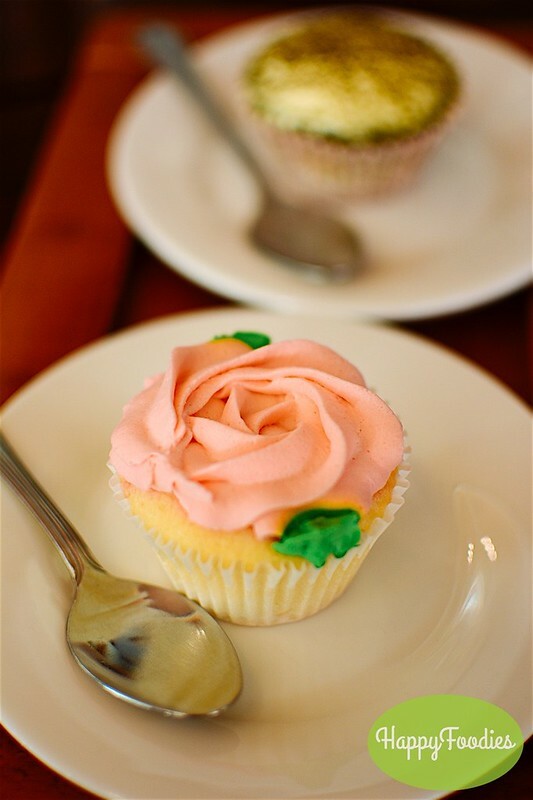 I specially liked the liquor-inflected Tequila Rose, topped with pink icing on top and cored with strawberry inside. 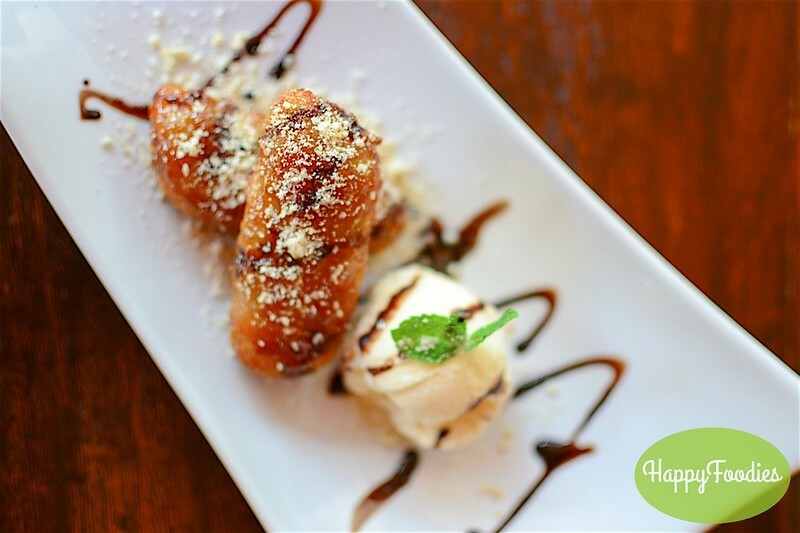 Also an instant like: the Crispy Suman served with vanilla ice cream (P95). 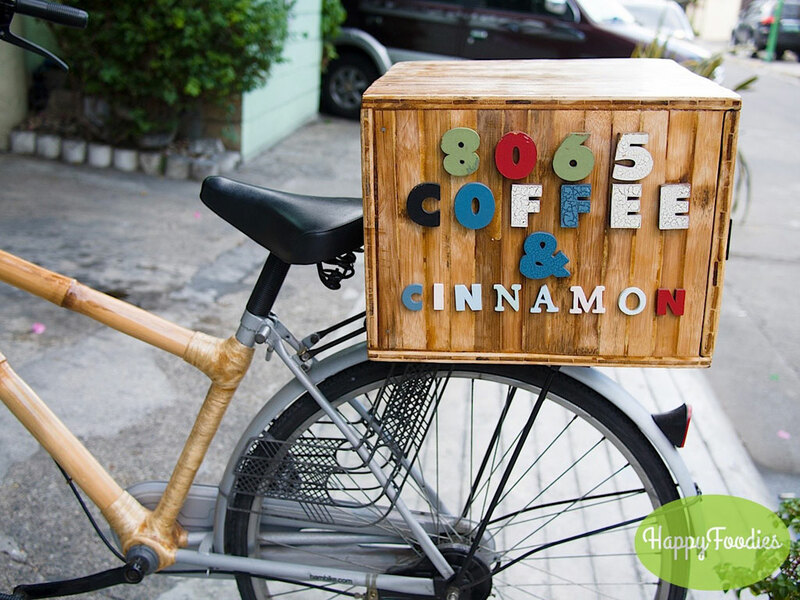 Well, even for just the coffee, I’d travel far to The Coffee Library. It’s that good.